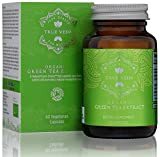 5 HTP 200mg Vegetarian Capsules. Increase Serotonin levels to improve Mood & Emotional Wellbeing. Supports Weightloss, PMS, Anxiety, Insomnia, Fibromyalgia. Suitable for Vegetarians – 100% Satisfaction. 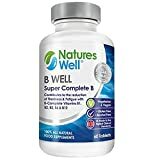 BENEFICIAL SUPPORT FOR: Feelings of Well Being, Improving your Mood, Relieve Stress, Feelings of Satisfaction, Normal Sleep Patterns, Obesity, PMS, Migraine Headaches, Depression, Anxiety, Insomnia & Addictive Behavior. SERETONIN CAN: Play a supporting role in controlling anger, aggression, body temperature, mood, PMS, sleep, human sexuality, appetite, and metabolism. SENTIA 5 HTP. Our 5-HTP Capsules are manufactured in the UK to GMP code of practice and ISO 9001 quality assurance certification. Only the finest quality raw materials in their highest and purest form are used. These manufacturing procedures ensure manufacturing practices and prerequisites necessary for product quality and safety are adhered to. This goes above and beyond what is required so that we can guarantee you receive consistently high quality products. Manufactured in the UK following cGMP (current Good Manufacturing Practice) under license. Studies have shown that the use of 5-HTP (5-Hydroxytryptophan) can help to promote healthy levels of the brain chemical called Serotonin. Imbalances or low levels of Serotonin may be responsible for Mood disorders, Sleep disturbance, Depression, Anxiety, Migraine headaches and an increase in appetite, or a craving for foods that are high in carbohydrates and fats, as the body tries to increase its Serotonin levels naturally. Our Sentia 5-HTP is extracted from the Griffonia Simplicifolia seed, using a specially developed process that retains as much of the active components of 5-HTP as possible. It is then compressed into an easy to swallow capsule, and each one provides 200mg of 5-HTP. Another benefit, if you are looking to lose weight then 5-HTP will help to regulate your appetite, it has had reported benefits in aid of weight loss. It helps curb weight gain and reduce the hunger feeling. Some people claim they have had less cravings for food rich in carbohydrates and have reported that 5-HTP may have helped prevent binge eating. That famous US Doctor TV show featured 5-HTP on his show, calling it “the best natural appetite suppressant with average weight loss at a steady pound to half pound per week.” Click the “Add to Basket” button NOW at the top right of this page and get better health Today!